Minecraft hit upon something primal in our human nature; we like to make things. This game lets you make pretty much anything your heart desires, provided it's composed of voxel-like blocks. The previously teased v1.0 update to Minecraft Pocket Edition has landed on Android, and it adds a number of nice gameplay extras, plus there's something of an endgame with a dragon to slay. Here's the full changelog posted by Mojang for the v1.0 update. When Minecraft PE launched on Android years ago, it was a mere shadow of the full game. Now, it's much more robust and has support for Android TV, which is a more console-like experience. This update bumps up the maximum height of your creations to 256 blocks from 128, and there are some festive holiday skins included. 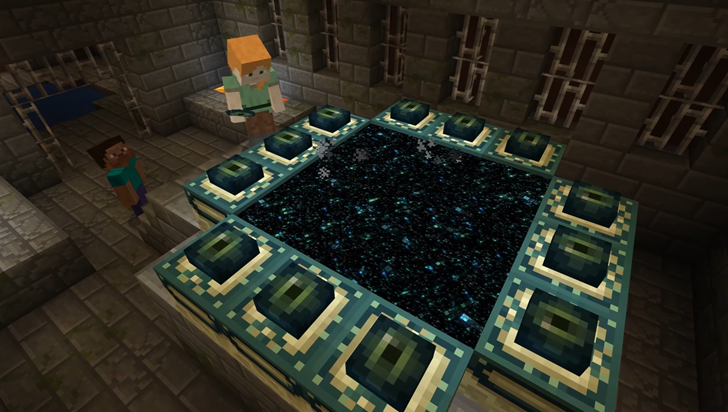 Minecraft has always been a sandbox sort of game, but this update for the Pocket Edition adds an endgame that you access by traveling to a creepy parallel dimension. There you will find the mighty Ender Dragon, a creature that will surely require all your skills to defeat. You might want to bring a friend or two for backup.